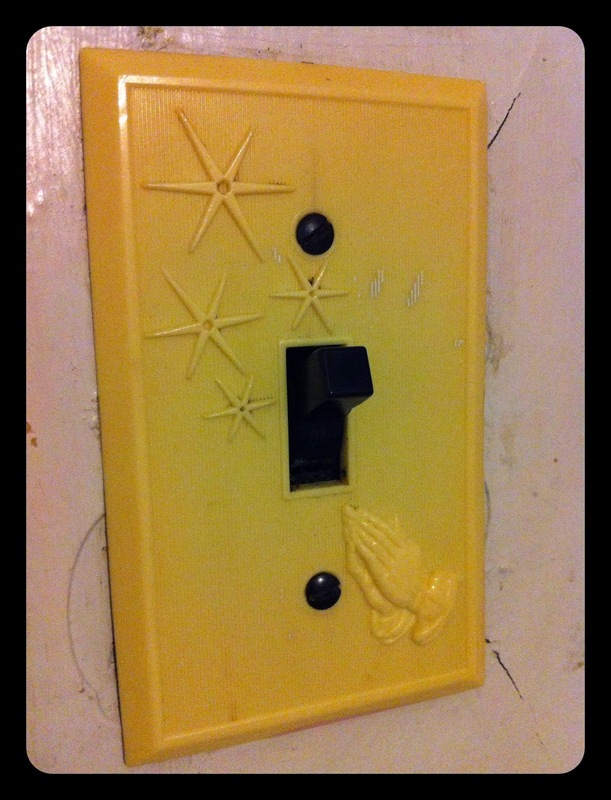 I was reading Elizabeth Scalia's (The Anchoress) blog post, How I Loved My Kitschy Madonna, when I realized I have my very own Catholic Kitchen Kitsch! We have lived in this house thirty-one and half years and I just didn't pay much attention to the switch plate that has been in the kitchen all these years (and probably long before that! ).